Saturday morning started with Marg and I showing up to the 6:30am bird walk and the walk being obviously canceled due to the down pouring rain. Quickly the heavy fog rolled in for most of the day and I struggled with spending my available birding time capturing photos in the fog. It was still a great bird day with many first of the years birds and another lifer to add to my list! I captured around 700 photos over the whole weekend! I will need some time to sort and edit all of the pictures before preparing them for the blog. I can promise that the pony picture (including the video that I captured) will be posted soon! Unexpectedly I found another lifer on Saturday! The Laughing Gull (CHECK) is one species that arrives in Niagara Falls but is also one of those species that doesn’t appear at the same time that I am out looking for the birdies. 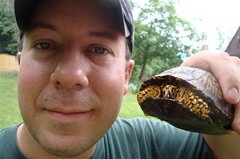 These guys were all over the place and I was happy to add them to my life list! Ok, after a zillion hours of driving . . . I am off to bed and I promise to get more post up here soon! This entry was posted on 29 March 2009 by mon@rch. It was filed under Birds, Flickr, Mammals, Nature, photography and was tagged with Chincoteague National Wildlife Refuge, fog, Laughing Gull. Those fog photos have a beautiful look to them. Wow, 700 photos! I can’t wait to see the ones you pick. Fog makes for such great pictures! Congrats on the lifer, btw. There are places along the Niagara Gorge (particularly around the power plants down river,) that are well known as extraordinary gulling sites, if you ever get over that way. It sounds as if you had a productive day despite the rain. Love the Laughing Gull picture. Wonderful! Rain or no rain, your photos are delightful. 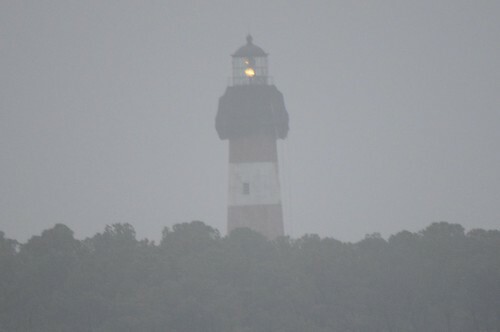 I am assuming the fog lifted and that you don’t have 700 photos in the fog to sort through… lol! :c) Can’t wait to see them. The fog did not lift the 2nd day but got most of those pictures on the 1st day! And I also would take 100’s of pictures of some of those birds like the willet, ect. .
What a cool looking gull!! Can’t wait to hear about ponies! Great pictures despite the fog. 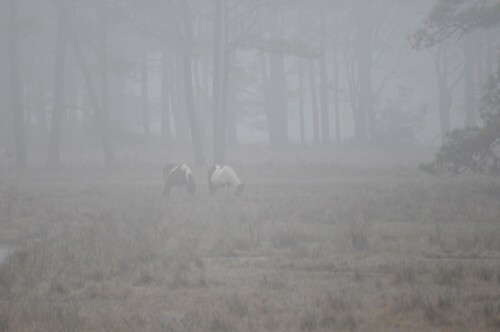 The fog gives them a dream-like feeling. I hope you had sweet dreams… you’ll need the rest to go through 700 pictures. Ah, the rolling fog. How was the temperature? It seemed pretty cold, but I guess the birds there are used to it. Also, don’t forget to vote for your favorite and check in tomorrow for the winner of the scientist cup. Enjoying your birdie adventures at chincoteague…I love that area. 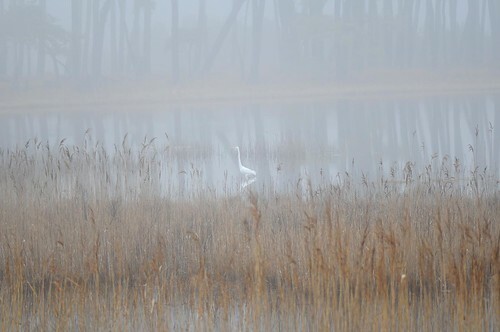 The egret is a great picture. I will have to go over there sometime. 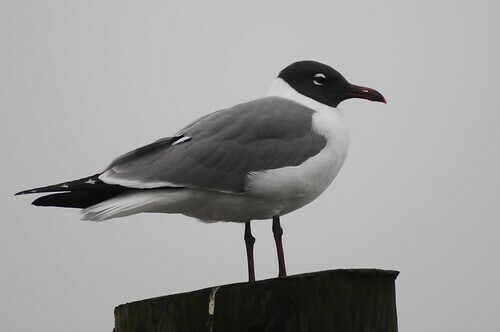 The laughing gull is a handsome guy! P.S. I’m dropping something in the mail for you tomorrow! I love the fog pictures. Wonderful shots. I used to hate foggy mornings but now I love them. They add so much mood and feeling to images. Look forward to more from your trip. Excellent laughing gull! Fog shooting is tough, but if you get the exposure right – there is no bright lighting and no tricky shadows, a plus. It was great seeing you again Tom can’t wait til next time! btw I had 11 Lifers and I think the Laughing Gulls may have been my faves! They are so neat!